Mustang V6 owners can increase the spark of the 3.8 liter ignition by installing Performance Distributors' new Screamin' Demon Coil! 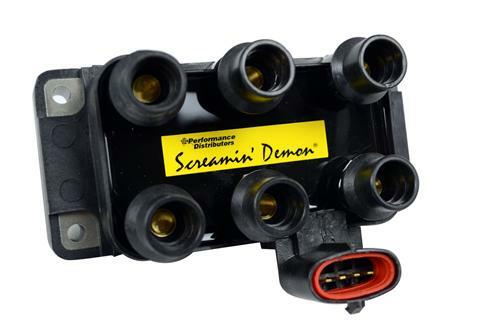 Mustang V6 owners can now increase the spark intensity of the 3.8-liter ignition by installing Performance Distributors' new Screamin' Demon Coil! 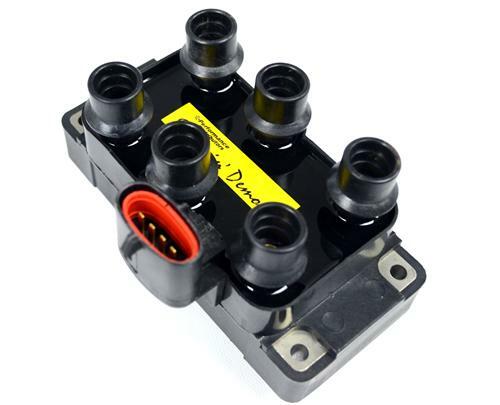 This is the first high-performance coil available for the 1994-2000 Mustang 3.8L V6 engines. The Screamin' Demon Coil is designed to produce a longer duration spark and allow plug gaps to be opened up to an astounding .060" - .065"! 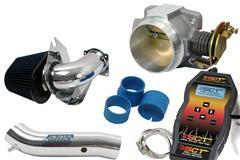 This will burn the fuel mixture more efficiently for increased performance and better fuel mileage. 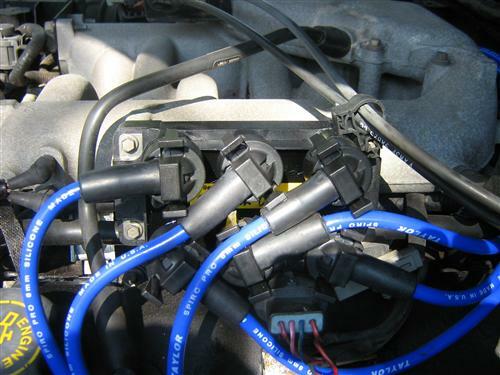 This will also help spark plugs stay cleaner longer. In addition, the intensity of the Screamin' Demon's spark does not drop off as the rpm's increase, which is common with stock ignition systems. In a series of 0-60 mph tests, we improved our E.T. 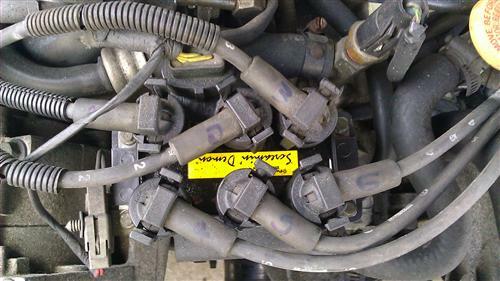 an average of .33 seconds over the stock ignition coil! That's performance you can feel in the seat of your Mustang V6! The Screamin' Demon Coil is epoxy filled, leading to improved heat transfer and vibration resistance. The Screamin' Demon Coil is easy to install and mounts in the original equipment location. Not legal for sale or use in California as this product is not CARB legal.